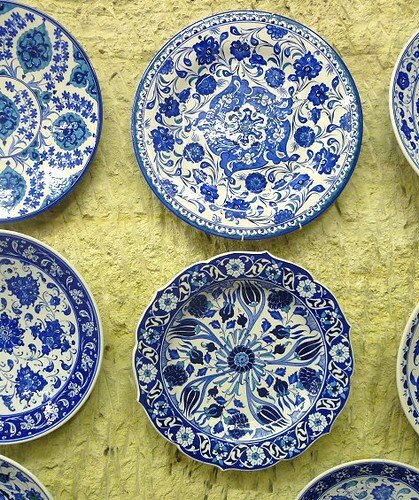 Hmm, so far, still no food posts from our trip to Turkey. But, bear with us while we feature other things. 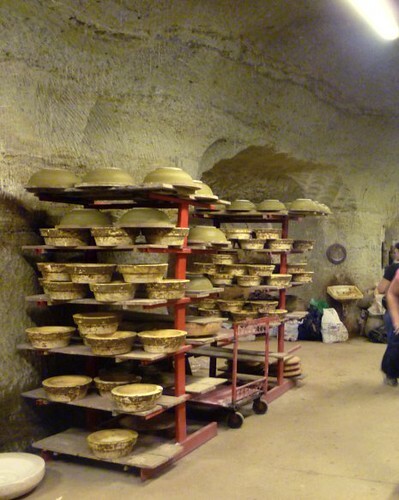 For example, images from our visit to a pottery maker while in the Cappadocia (Kapadokya) region of Turkey. Cave structures are common in this area of Turkey. We even stayed in a cave hotel! 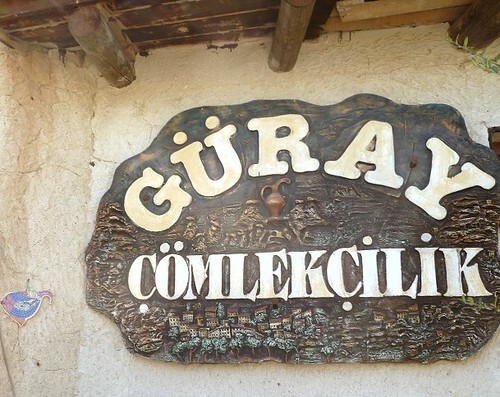 In actuality, the whole affair at Güray was quite low pressure. Good thing, otherwise I wouldn't have enjoyed the visit at all! 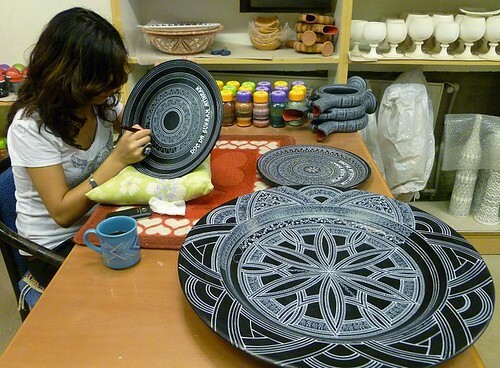 We learned about the two types of clay (red and white) and a host of other things (very specific, I know), and watched their artists hand-paint intricate designs onto various objects. 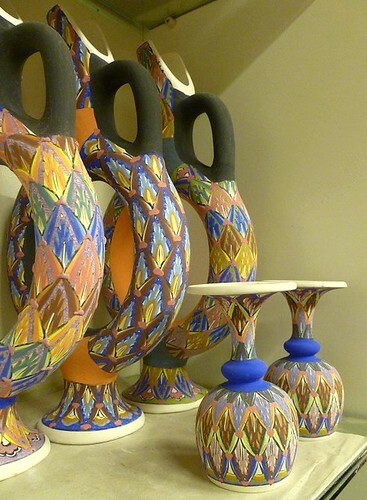 Painted works; not yet fired. 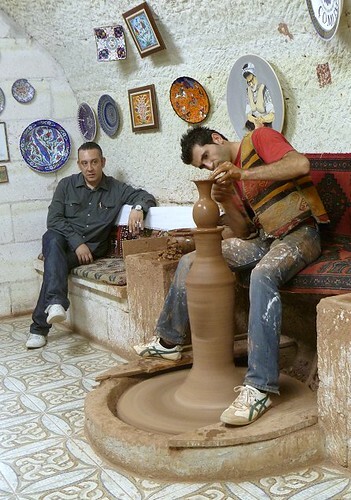 We also watched a pottery wheel demonstration. While they mostly use automated wheels now, they used one that needed to be turned with one's legs for the demo. Being a family business of multiple generations, these two men are related. Lookee what I found! 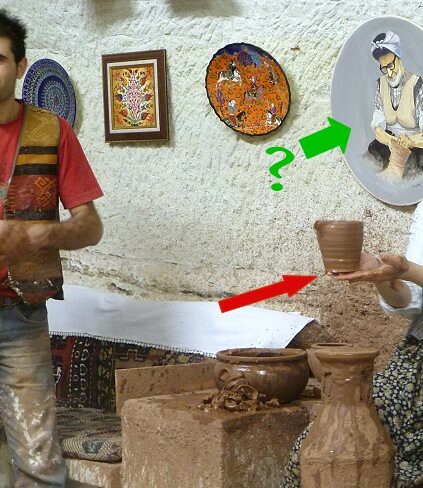 Videos of the pottery demonstration at Güray! It's even the same guy doing the demos. There is also a longer video of the tour (approximately 8 minutes); you will feel like you were right there! Watch videos #1 to #5. Video #4 is the extended video. Psst! Look at that drawing in the back. Isn't that image quite puzzling!?!! It looks like an old man wearing a bra, doesn't it? If anyone can explain it to me, it would set my mind at ease. 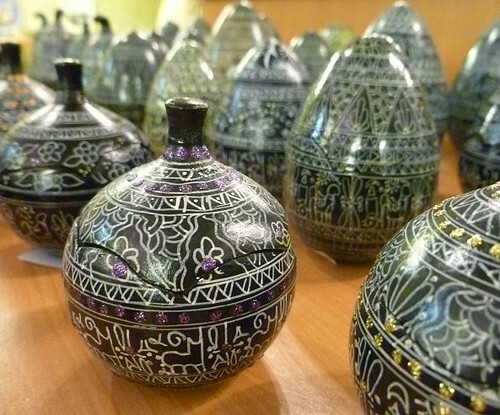 After the fun at the pottery wheel demonstration, it was time to go to the shop! 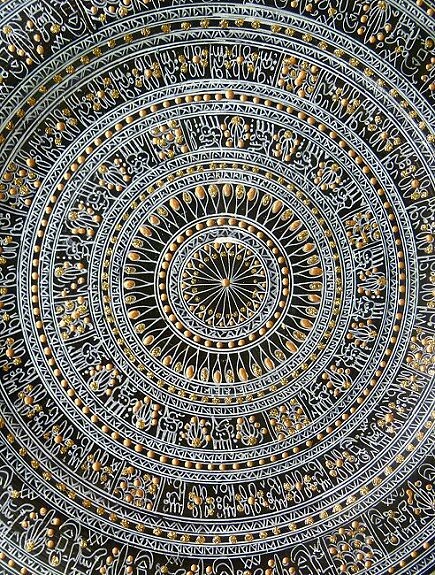 The above two photos show a type of design that was commonly seen in souvenir shops and such. 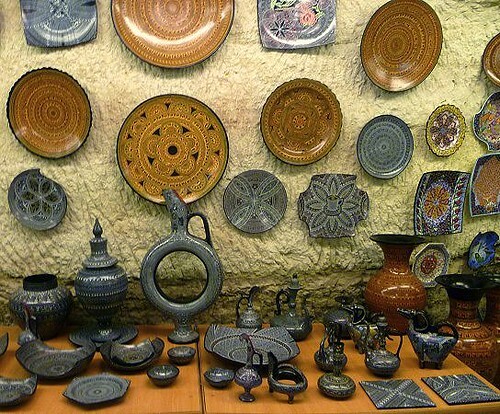 My favorites were the Hittite-design items. Look at the wine jug with the hollow center! We were told this probably made it easy for someone to carry multiple wine jugs; one simply had to "wear" them on their arms! I was actually a little tempted to buy something from their store, but it was just too impractical. Imagine lugging breakables around! To celebrate, our family will be dining at Fisherman's Terrace tonight. 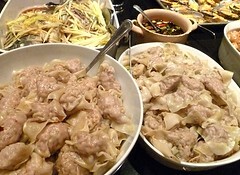 However, we also had a party at home last night (New Year's Eve), inviting friends and family/relatives. 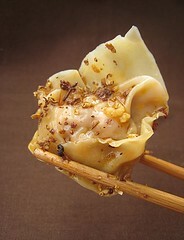 Dumplings are supposed to resemble gold ingots, and hence, are good to serve during New Year dinners. We did two types: a plain one with a soy sauce-based dipping sauce, and another with Sichuan chile oil sauce. 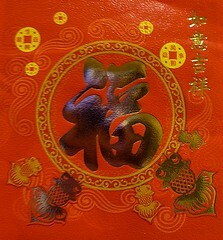 Of course, the Chinese New Year table has to have noodles to symbolize long life. 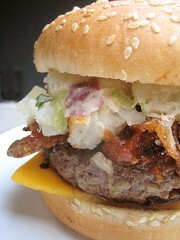 This is one of CSC's absolute favoritest dishes. Just the mention of "pancit canton" lights up her face and sets her eyes a-twinkling. 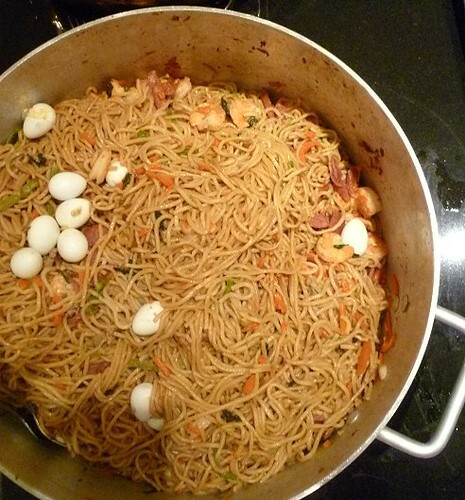 We have previously mentioned that we always make a humongo batch of pancit canton. Well, for this party, it was even more humongo than usual! 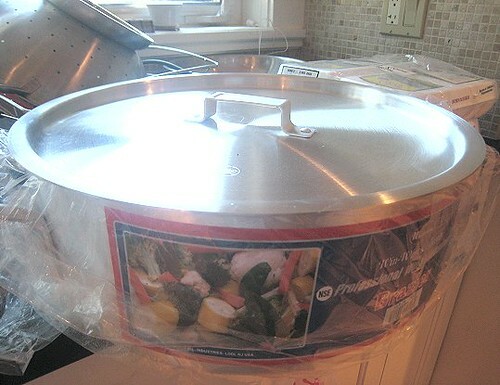 Yup, we used this whopping 18QT pot. And, there were barely any leftovers! Hmm, it seems impossible to make this dish look good in photographs. This is simply whole chickens poached with leeks and shiitake mushrooms, served in its own broth. Oh, for interest, I made the standard Chinese ginger and green onion sauce to serve alongside. 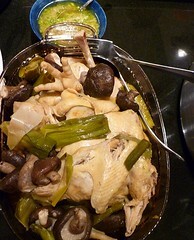 When serving chicken for New Year's dinner, one has to serve the chicken whole to symbolize togetherness. 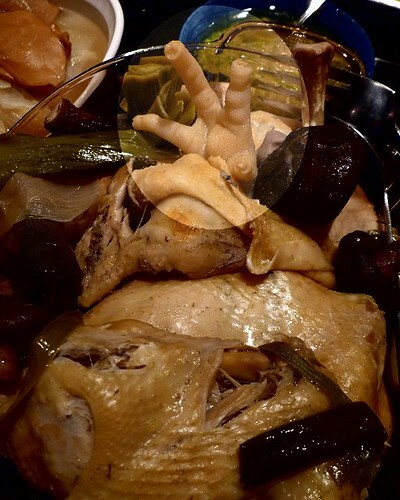 There's the proof above: the chicken feet are still attached to the chicken bodies! 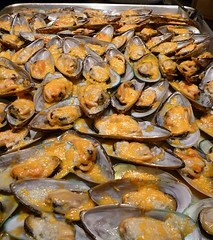 Clams and mussels are supposed to resemble coins (money, in other words). 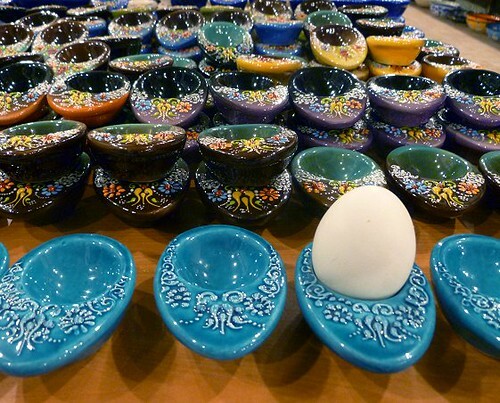 Of course we would want them on the table! 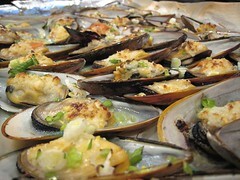 We decided to make the Filipino/Philippine classic, Baked Tahong. 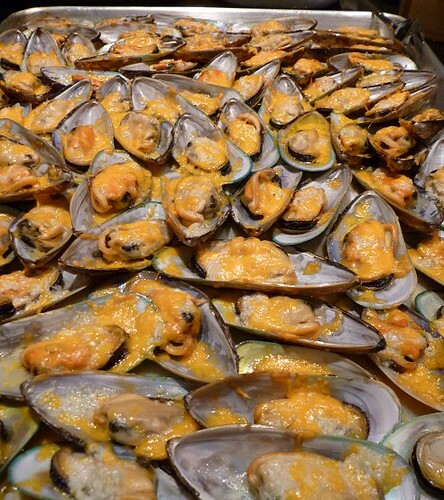 Mussels are topped with garlic butter and cheese, then baked. The aroma when they came out of the oven was swoonworthy! 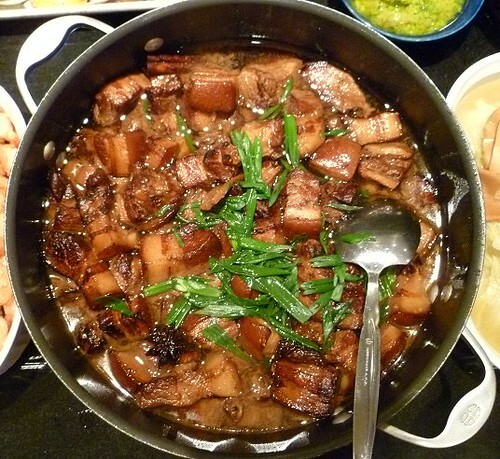 This is one of those dishes with a "subtle, yet profound" taste profile. A Chinese meal won't be complete without vegetables. We were also going to cook a broccoli dish, but did not have time. We had to pump this out quick! 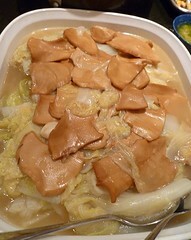 We braised some napa cabbage in stock until soft, then simply used canned sliced abalone. The stock was then thickened slightly with cornstarch slurry. This is our ghetto take on the restaurant dish of honey walnuts and shrimp with mayonnaise sauce. In my much simpler version, I toasted the walnuts first. Then, I cooked the shrimp (seasoning them as I did) and set them aside. I made sure the pan I used was dry before proceeding. I heated some oil, added the walnuts and honey, stirring them round. Next, the mayonnaise went in. 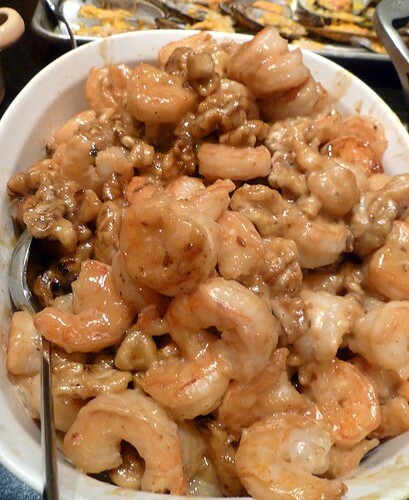 When they were well-mixed, I turned off the heat and added the shrimp back. 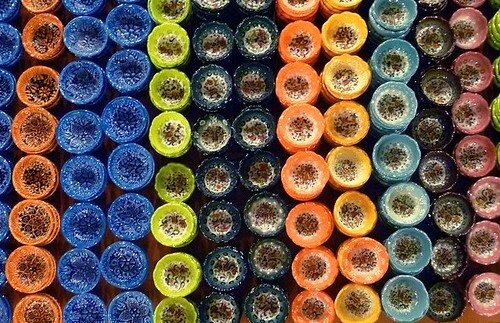 I stirred until everything was well-coated. 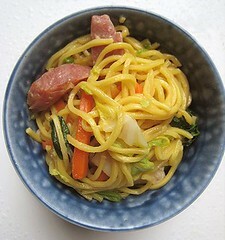 This dish is so popular that even my poor-man's version went fast! Last, but certainly not the least, whole fish! 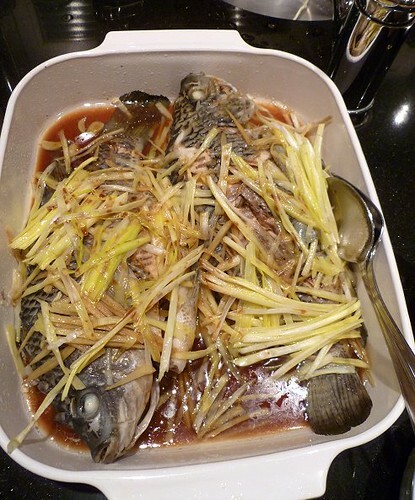 For me, there is nothing like Cantonese-style steamed whole fish. And so that's what we made. In this case, we used tilapia because that was the only fish available live at the Chinese supermarket. Needless to say, one has to serve the fish whole! 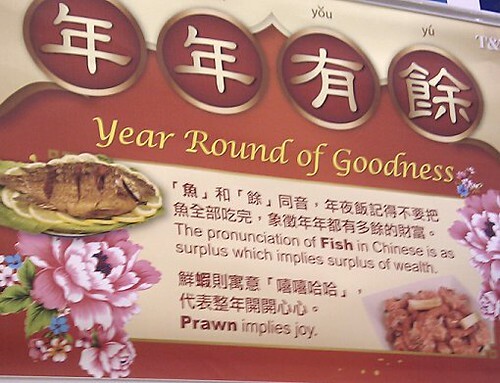 "The pronunciation of FISH in Chinese is as surplus which implies surplus of wealth." 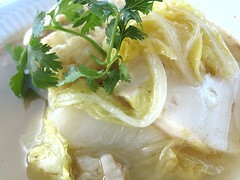 To make this, we lay the fish on a little julienned ginger and sprinkled them with a little bit of coarse salt. 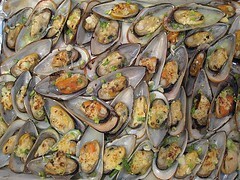 I topped them with more julienned ginger, then some yellow chives. 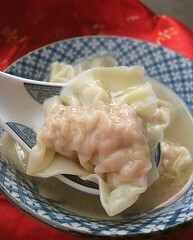 A little splash of Shaoxing wine, and the dish was covered with plastic wrap and microwaved for about 8 to 10 minutes. Yes, you read right! This was simply microwaved. Easy. 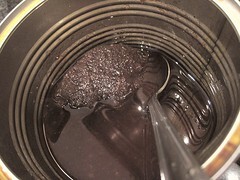 In the meantime, I heated a small pot with a little bit of peanut oil and in a small bowl, added sugar, Shaoxing wine and sesame oil to soy sauce. Instead of the usual green onions and cilantro, we opted to use yellow chives. So, when the fish finished steaming, I topped them with the tender portion of the yellow chives, then poured the hot oil over them. Sizzle! 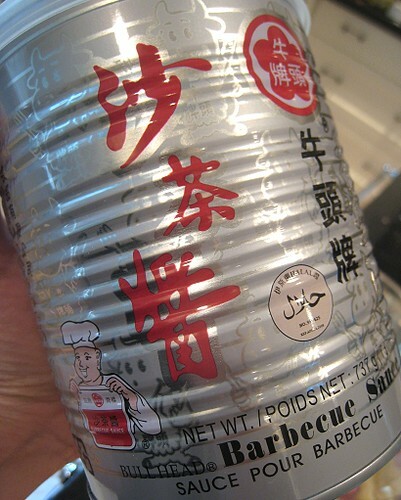 The soy sauce mixture was poured in next. And that's our Chinese New Year menu! Once again, Happy New Year to all! We are off to Fisherman's Terrace to have professionals cook for us! What to have? Peking duck? Whole steamed fish? Crab or lobster? Man, these shrimp were really shrimp-y! So tiny! We had other plans for these tiny shrimp but that never came to pass. So, we had to make do with them. It was one of those use-it-or-lose-it moments. In addition, we were pressed for time and had virtually nothing in the fridge. Our solution was this three-ingredient dish. We've used sacha sauce before, in Mama's Fish Head Soup and in our Mashed Potato Beef Burger (Red-skinned Potato Salad in Taiwanese Satay Cheeseburger). 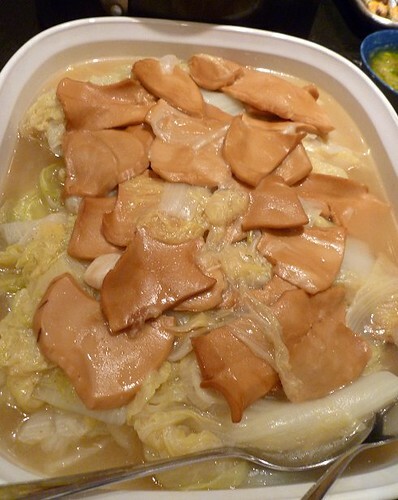 Sacha sauce is also a popular condiment for Cantonese-style hotpot. 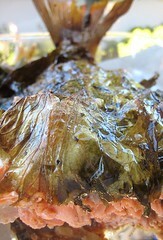 It's made with some aromatics, chile peppers, brill fish and dried shrimp. This (or something very similar) is also sometimes referred to as "satay", although this should not be confused with the peanut-based satay sauce, nor the Indonesian/Malaysian/Singaporean dish of skewered meats. Anyhoo... it packs a big wallop of flavor is the thing to remember. 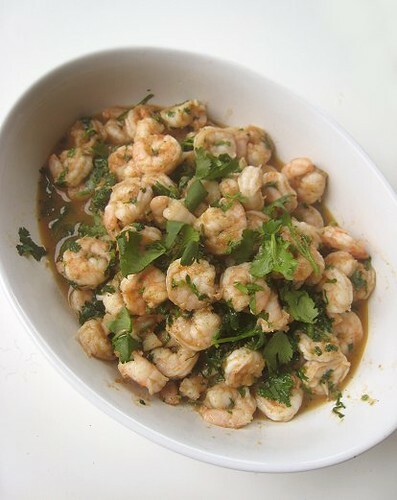 To make this dish, we heated a pan and added some oil, tossed in these tiny shrimp, some sacha sauce, and when the shrimp were cooked, some cilantro. My only complaint, as you may have already guessed, is that these shrimp were too small! They were not really stir-fry type of shrimp. But, the sacha sauce was very flavorful and the cilantro did its job of lending a bright, fresh taste to the whole thing. 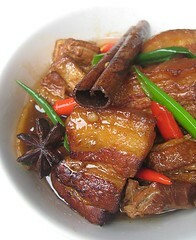 This dish went very well and was very satisfying with some plain white rice. In a pan, heat oil over high heat. 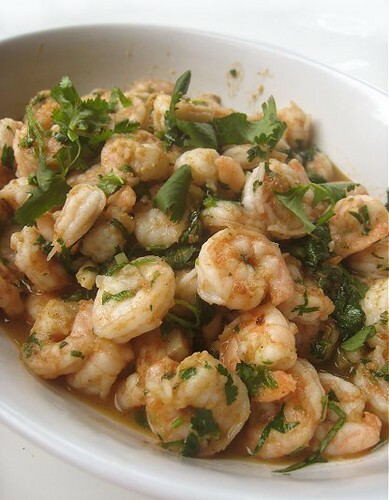 Add shrimp and as much sacha sauce as you like. 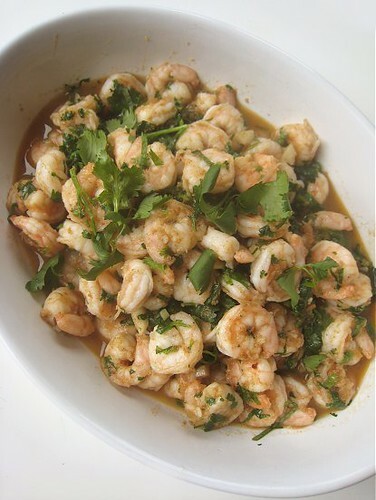 When shrimp are cooked through, toss in cilantro.